The Vector 4Seasons features Goodyear's SmartTREAD Weather Reactive Technology enabling you to enjoy driving all year round. The technology activates different parts of the tread to cope with any weather condition. 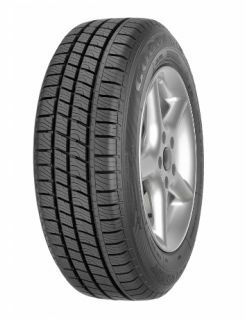 Keep your grip all year round with this tyres compound that performs just as good in winter than in summer. The Vector 4Seasons offers better ice and snow traction than its competitors. The tyre carries the Snowflake symbol which means it meets the official standards of dedicated winter tyres. Due to the tyres flatter contours that spreads pressure evenly you can get more miles and use less fuel per journey.